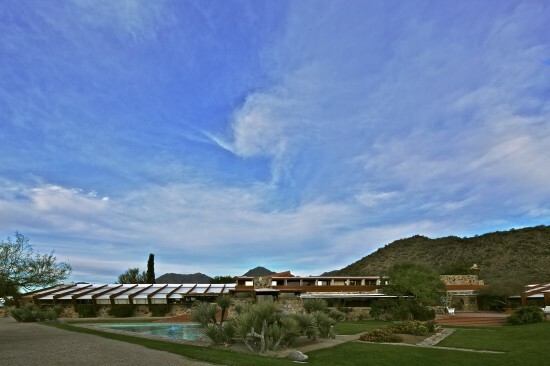 The city of Scottsdale, Arizona (about 12 miles northeast of Phoenix) is known for its majestic sunsets, almost perpetual sun, a deluge of spas, and of course Frank Lloyd Wright’s Taliesin West, may soon be getting two new mixed-use developments, including 1,000 residences. One plan by Dallas-based developers JLB Partners is called "Scottsdale Marketplace" and the second is "District at the Quarter" by Kaplan Management Co, based in Houston. JLB paid a record price in Scottsdale ($1.5 million) for land at the southeast corner of Chauncey Lane and Scottsdale Road. “When JLB bought 10 undeveloped acres at Scottsdale Road and Chauncey Lane from the Arizona State Land Department in May 2015, the $1.5 million-per-acre price tag was the most anyone had ever paid at a state land auction,” wrote the Arizona Republic. Scottsdale Marketplace is expected to include mixed-use amenities: dining, retail, and 5 stories of 301 residences. 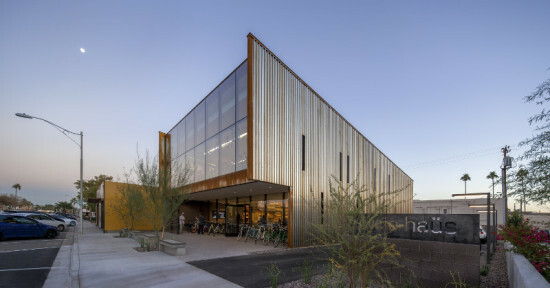 The project could also include a coffee shop, fitness space, rooftop pool, and from renderings, what looks like lots of palm trees for the commercial portion in the otherwise arid climate of Scottsdale (though some say palm trees are water-intensive and provide little shade). If the project gets the zoning green light from the Scottsdale City Council, the project could break ground spring 2017 and cost $80 million. 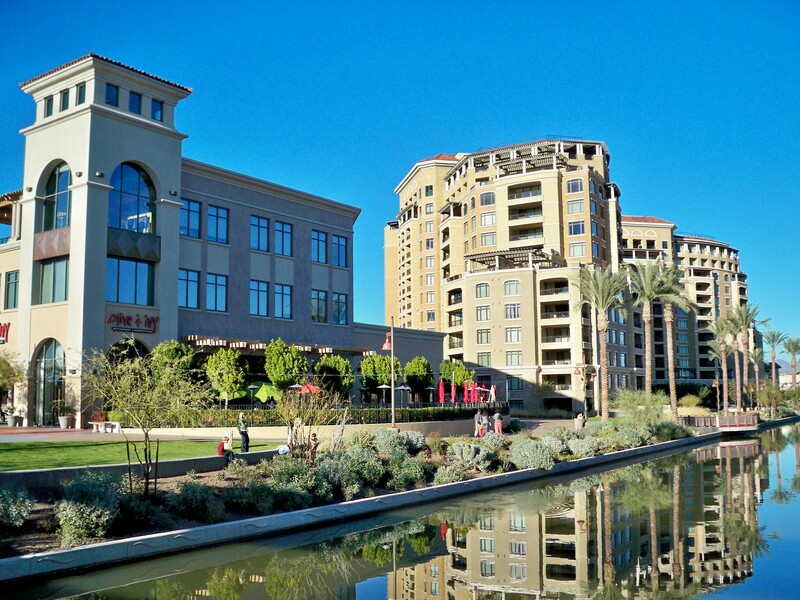 The second Scottsdale project, by developer Kaplan, is called District at the Quarter. It is slated for nine acres at the northeast corner of 73rd Street and Greenway-Hayden Loop and will feature mainly residences, with some retail. (The site currently holds an office building and is zoned for industrial use.) The developers' plan include four stories of 644 residences (these could be condos or apartments), courtyards with fountains, two pools, and other outdoor hangout spaces for barbecues, fire pits, and more. If Scottsdale City Council passes the two plans (though this could be at least a few months for zoning change approvals), the projects could open by 2018 at the earliest. 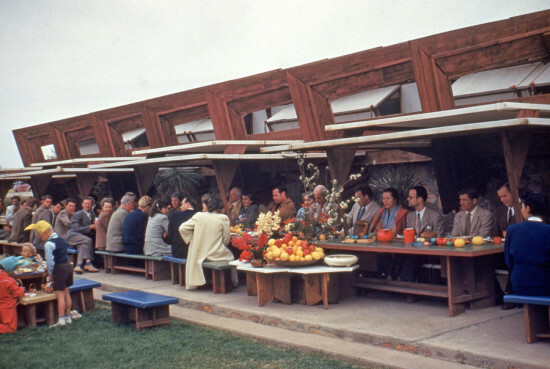 In 2010, at 91, architect and Arcosanti founder Paolo Soleri saw the opening of the Soleri Bridge in Scottsdale, Arizona. The cable-stay pedestrian crossing was the culmination of 60 years of bridge sketches and drawings. Peruvian artist Grimanesa Amorós continues Soleri’s dedication to experimentation with Golden Waters, an art installation extending from the bridge into the Arizona canal. 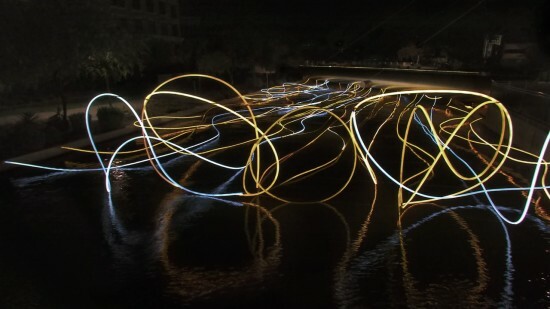 Commissioned by Scottsdale Public Art, Amorós’ light sculpture is suspended from the 130-foot-long span and resembles sketched lines hovering over the surface of the water. The light ribbons are made out of LEDs, custom electrical hardware, and diffusive material. 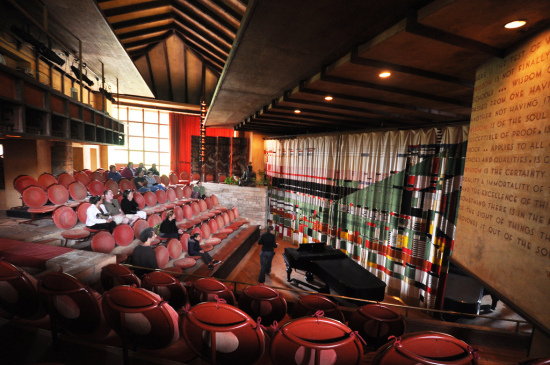 Each is held in place by a cable suspension system and steel structure. The armature, which allows the piece to extend 164 feet and rise 25 feet above the surface, seems to vanish at night when the artwork is illuminated. Amorós’ artworks often blend technology with social history, scientific research, and an organic approach to any given site. In 2011, she presented a lighting sculpture inspired by the pre-Incan Uros tribe at the Frank Gehry–designed flagship of Issey Miyake. In Scottsdale, Golden Waters is meant to evoke both local history and express the interplay between urban and natural elements. “The ancient Hohokam Indians, located in northern Arizona, were one of the first cultures to rely on irrigation canals,” she explained. “As early as 300 AD, the community’s environmental engineering improved access to river water and helped improve the lives of the inhabitants.” Golden Waters will be on view in Scottsdale, Arizona through September 30, 2015.